BPWORKS has been relentlessly pursuing new and improved technologies in the database domain and has supported clients by accelerating the never ending facets of innovation. BPWorks will transform your business by improving operational efficiency by adding value in the areas of project management, delivery process by reducing cost with cutting edge applications. Database Administration is a mission critical activity. Businesses need to ensure high availability and scalability of their application instances to make sure that precious business time is not lost. BPWORKS provide comprehensive, 24×7 DBA support to all our valuable customers. We observe and act in response to alerts tuned specifically for your databases as well as Undertake projects, provide Architecture and Design advice, and much more. We are aware that your system is doing with regular, proactive database assessments combined with 24x7 monitoring. We are an end-to-end database service organization with a strong community of DBA and MSBI experts. Many of our clients have turned to us to find specialized expertise, additional DBA capacity or other database staff augmentation needs. It is our mission to provide the best database staffing support to our customers with a delivery design that meets their need as an organization. Because of our keen MSBI specialty we have provided SSIS, SSRS and SSAS support with Qlikview and Tableau Dashboards Monitoring and Administration as well. Below is the list of key qualities of our DBAs. We perform the latest database upgrades across multiple database environments every day using various methods, testing, configuration and fallback routines. We service any version, any operating system, and any complexity – and have likely seen and completed. We have provided extensive care of 24x7 supports in Retail and Insurance domains. There is no standard according to the card list of DBA activities you are restricted to. We perform any DBA support task anytime you need. It's that simple. We have provided extensive support in Data warehouse as well. 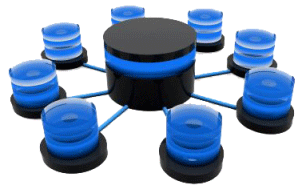 We have handled more than 8 TB of database size with required ETL process. We have proper SSIS development team to take care of all ETL process. We do have proper dashboard implementation and support on Qlikview, Tableau and internal developed dashboards. Our multi specialized DBAs have handled projects in SSAS & SSRS as well. Below is the list of few accompanied significant projects by our team. Cross Validation Model data Check to make sure ETL looks good. We have robust DBAs in DBA Production, DBA Development, DBA Support and Data warehouse DBAs. Each Sr.DBA has their own appropriate certificate in their speculations. Microsoft SQL Server - All versions to SQL Server 2012. The delivery design of BPWorks database support will never restrict your company's ability to optimize your environment or ignore opportunities to improve current practices. BPWorks expert DBAs will provide routine tasks, such as patching, backups, configuration and installation. Other support tasks are SSIS, SSAS & SSRS with adapted to each unique database environment. This includes customized deployment procedures, refresh methodologies, failover and replication routines that require focused attention beyond rudimentary knowledge application. We will handle any third party tools to make sure all DBs are in good health. We will deliver our enthusiastic support on Data modeling and Data warehousing. In addition to that we are utilizing ITIL process and delivery methodology for all of our valuable clients. Our proactive database support team will ensure that your database environment receives the preventative care it requires for the future while also promising to have the availability to respond to your most critical needs with integrity. And also we will deliver good enhancement support in MSBI area, especially in DBA Data warehouse, SSIS, and SSAS & SSRS.